FRIENDSWOOD, Texas - Friendswood police are investigating after a Compass Bank was robbed around 11:20 a.m. on Tuesday. A man walked into the bank at 113 N. Friendswood Drive and threatened that he had a weapon. He was wearing a long-sleeved stripped button-down shirt, white undershirt, black pants, and black shoes. He had a maroon Texas A&M baseball cap covering his face. He is described as being about 5 feet 9 inches tall, thin build and white, according to reports. 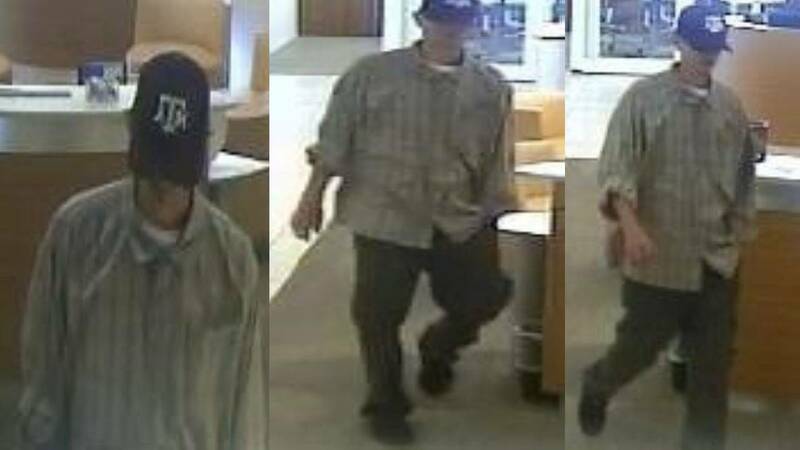 He was possibly driving a silver, newer model Nissan or Toyota sedan that was parked two blocks north of the bank, according to police. Anyone with information about this bank robbery or identity of the suspect can call the Friendswood Police Department at 281-996-3300, or Galveston County Crimestoppers at 409-763-8477 (TIPS).